A new homes location in East Sussex is celebrating a prestigious award for achieving the highest standards in housebuilding. Assistant site manager Emil Lazar, and his colleagues at Burfield Grange in Hailsham, have been recognised for their on-site excellence and commitment to quality. 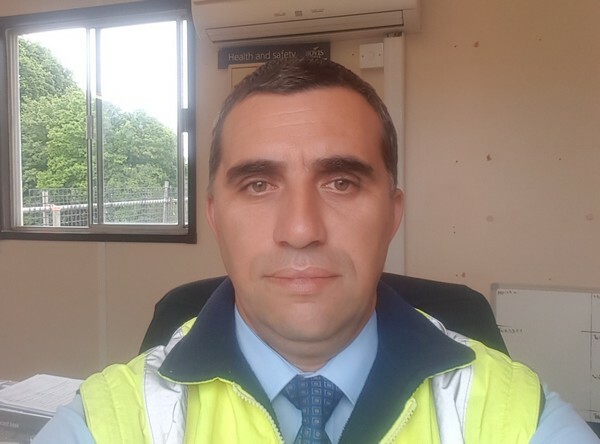 Emil is proud of the part he and the team have played in the success of the site, which will see former site manager Craig Coetzee pick up a Quality accolade in the London & South East region of the National House Building Council's (NHBC) Pride in the Job Awards 2018. With more than 16,000 sites across the country aiming to land a quality award, the achievement reflects Bovis Homes' excellent build performance in its South East region. Emil, from St Leonards-on-Sea, said: “We have been working very hard over the last year and this has just lifted the spirits of the whole team. Homeowners trust us and people believe in us and it's such a positive atmosphere. Burfield Grange has only five homes left in its latest phase, after selling out of its phase one properties. The available house types include The Maidstone, The Canterbury and The Arundel. Phase three, which will launch later this year, will consist of 63 plots and include a mixture of three to five-bedroom homes. Steve Jones, managing director of Bovis Homes' South East region, said the Pride in the Job award was “well deserved” by the team. He said: “This is a fantastic result for the team. It is clear every day how much effort they put into the site and this award is well-deserved recognition of that. Craig will now be entered for the Seal of Excellence and Regional Winner titles, the winners of which will be announced on 7th September. Six Bovis Homes site managers won Pride in the Job awards across England this year. It is the highest number for the house builder since 2012.